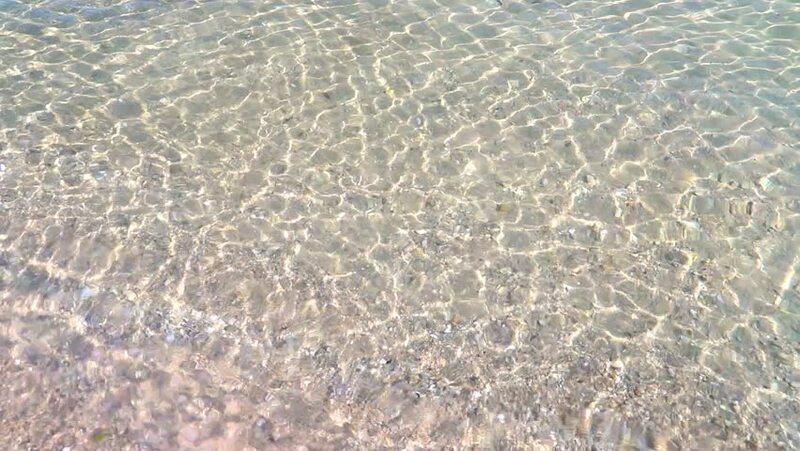 Sandy beach in a sunny day, top view of crystal clean water. Texture of water, reflection, ripples. hd00:10The sound waves of the sea , Koh Charn Hat Wanakorn national park , Prachuap Khiri Khan Province, the southern part of Thailand.